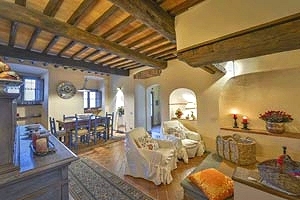 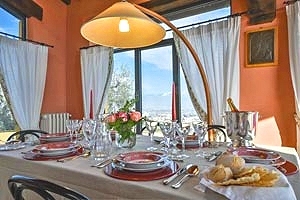 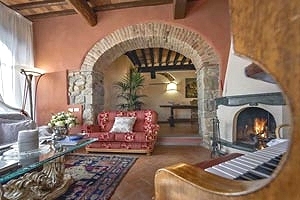 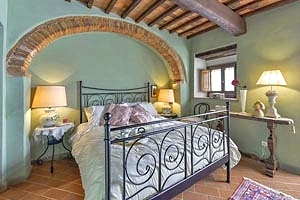 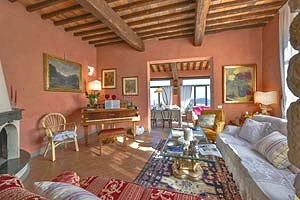 The elegant villa is set in a scenery location on the hills around Pistoia, near Monsummano Terme. 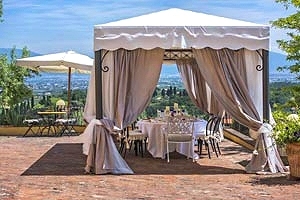 Mainly renowned for its natural thermal grottos (the most famous being Grotta Giusti), Monsummano Terme has also a beautiful castle built around the mid-12th century. 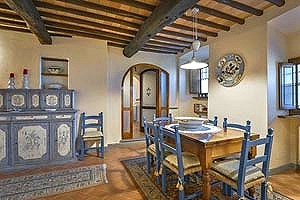 At present, only one of the towers and the medieval walls are left. 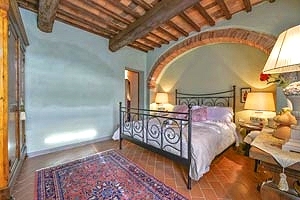 A small Roman-Gothic chapel dedicated to San Nicolao is inside the walls. 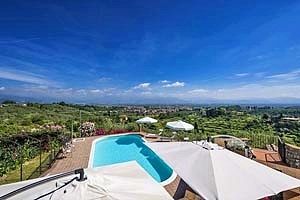 The beautiful villa is part of a 10-hectare estate and is surrounded by a wide garden. 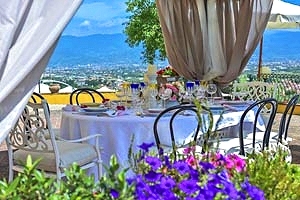 An outdoor dining area is arranged under a gazebo on the paved area in front of the villa. 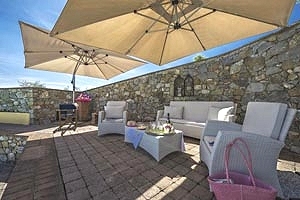 The private swimming pool (12x5.60 m; depth: 1.40-1.50 m) is fenced and has an external solar-heated shower, a changing room and a WC. 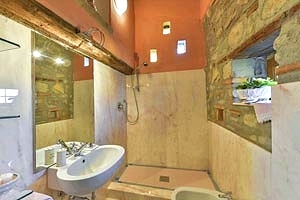 It is on a lower level than the house and overlooks the valley below. 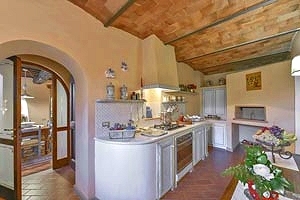 An outbuilding near the house is divided into a kitchen and a dining area and is equipped with a barbecue. 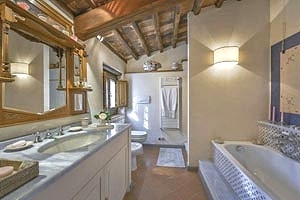 The outbuilding is opened only upon request. 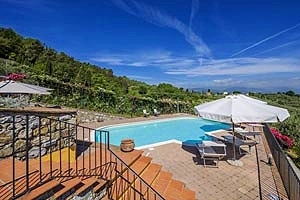 Monsummano Terme and Montecatini Terme thermal baths and a golf club are a few kilometres from the property and are easily reached by car as well as Collodi, Pistoia, Florence, Lucca and Pisa. 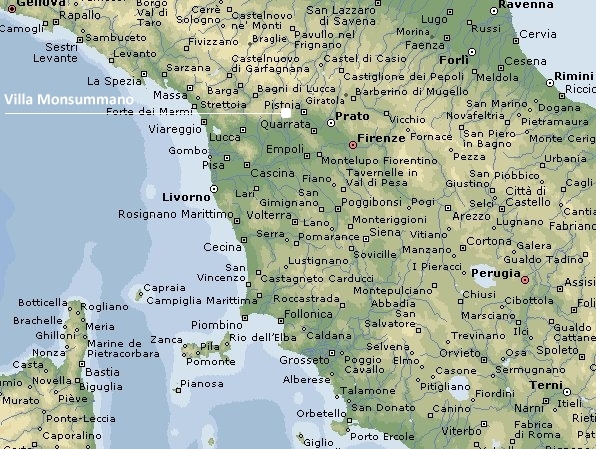 The beaches of Versilia are within easy driving distance as well. 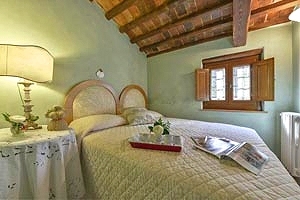 The one-story building can accommodate 8 guests in 1 quadruple bedroom and 2 double bedrooms, and has 3 bathrooms. 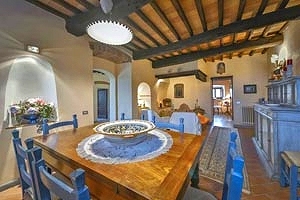 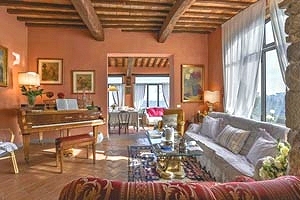 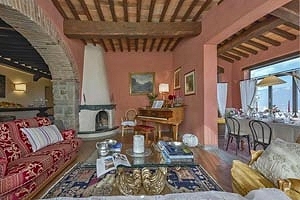 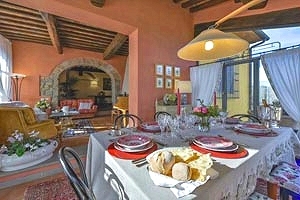 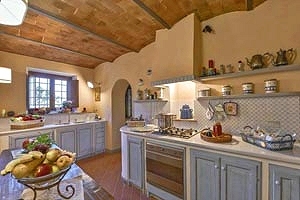 In detail, it composes of kitchen, dining area with fireplace, large room with dining area and living corner with fireplace and access to the garden, laundry room, two double bedrooms (one with a private bathroom with shower), a quadruple bedroom with a private bathroom with bathtub and shower, and a third bathroom with shower. 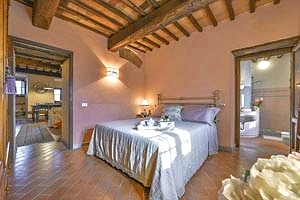 One of the double bedrooms is on a mezzanine and is air conditioned. 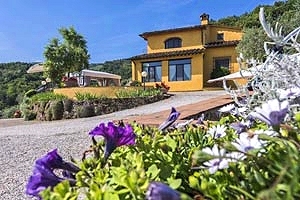 The villa comes with fenced swimming pool, external solar-heated shower, changing room, outdoor WC, barbecue, fireplace, air conditioning, piano, oven, wood-burning oven, freezer, microwave oven, dishwasher, washing machine/tumble dryer, hair dryer, cot bed, high chair and private car parking space. 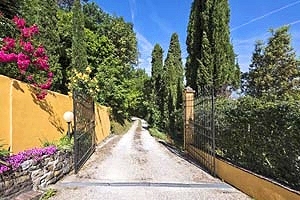 Shop and services of any kind are 1.5 kilometres from the property. 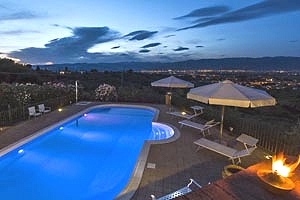 Monsummano Terme and Montecatini Terme thermal baths and a golf club are within 20 kilometres of the villa.